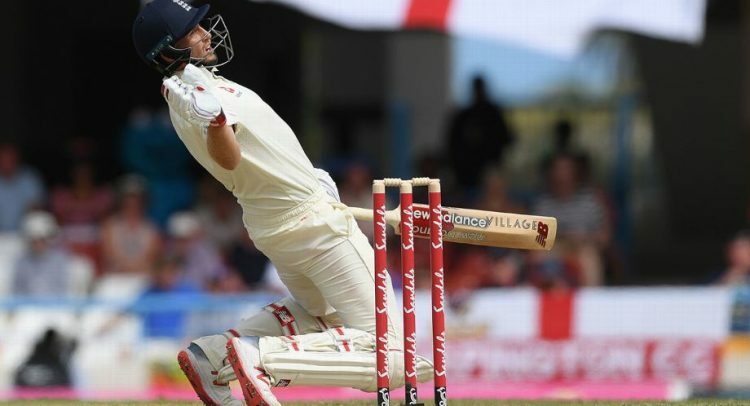 Again England were dismissed inside a day, again West Indies’ strike bowlers were damaging and again the home side capitalised on winning the toss, this time on a green and lively pitch that provided an entertaining start to the second Test in Antigua. While on the subject of deja vu, once again a pair of West Indies batsmen proved stubborn, thwarting England’s bowlers to end the day on 30 without loss, Kraigg Brathwaite unbeaten on 11 and John Campbell 16 not out. But it is worth noting the differences between England’s latest first-innings performance and their dismal collapse for 77 that set the stage for a 381-run defeat in Barbados to put this match in context so far. Moeen Ali’s timely score of 60, after a pair in the first Test and a nervy start to the second, Jonny Bairstow’s rapid-scoring half-century while wickets tumbled around him, and a couple of almost unavoidable dismissals thanks to the challenging pitch and some menacing bowling were in sharp contrast to England’s rank capitulation of the previous match. That is not to say there were not some soft dismissals as well. Opener Joe Denly sabotaged his maiden Test innings by reaching for a short, wide Alzarri Joseph delivery that was sailing well outside off stump to connect with the toe of his bat and send a simple catch to wicketkeeper Shane Dowrich. Having narrowly survived an appeal for lbw off Kemar Roach, which the DRS conferred back to the original umpire’s call of not out despite the ball looking fairly perilous for Denly, the debutant faced 15 deliveries for his first run and added just five more before his dismissal. Denly and fellow opener Rory Burns had endured four maiden overs before Burns was finally off the mark with a four, clipped through square leg off Roach. But Roach struck two balls later with a good line and length that tempted an outside edge from Burns, which was collected low at second slip by Jason Holder. England were in trouble at 55 for 4 and 93 for 6, but Moeen and Ben Foakes gave the innings some respectability. Foakes eventually mistimed a pull shot off Shannon Gabriel and gloved the ball on to his stumps via his hip after sharing an important 85-run partnership with Moeen. The blow to his hand resulted in Bairstow taking his place behind the stumps for the West Indies innings while Foakes received treatment. Moeen’s dismissal shortly after tea when he skied a Roach delivery to Gabriel, who had all the time in the world to take the catch at midwicket, looked soft but it was in fact indicative of the tricky bounce off the pitch. However, even more helpless was Joe Root, who could do little about his dismissal to a vicious Joseph delivery that hit the top of his bat handle and bobbled up towards Campbell who, reeling back at third slip, parried the ball high behind his head to Shai Hope, who ran across from gully to collect the catch. Bairstow faced just 64 balls for his 52, which included nine fours and a six, before he was trapped lbw by Roach with the second ball after lunch. His dismissal meant it looked like Ben Stokes would be forced to take up the rescue mission with England struggling on 78 for 5, but Gabriel had other ideas. Gabriel appeared to have broken down in his first over of the match, limping off with some apparent leg pain before returning gingerly in time for his second. But he returned from lunch with plenty of venom, sending down some brutal deliveries and engaging in a brief but notable verbal battle with Stokes. In his next over, Gabriel struck Moeen on the helmet with a short ball the batsman should have ducked but tried to pull instead. Just four balls later, Gabriel delivered another pearler that forced a defensive prod from Stokes, only to be caught behind by Dowrich for 14. Roach, the architect of England’s first-innings collapse in Barbados, finshed with 4 for 30, while Gabriel took 3 for 45 and Joseph 2 for 38. But perhaps most frustrating for England was that, despite the pitch only being subjected to a light rolling at the change of innings, their bowlers – including veteran strike duo James Anderson and Stuart Broad – were unable to make inroads on the West Indies’ batting after 21 overs with Brathwaite and Campbell offering stubborn, if static, resistance. Some individual performances aside, it begs the question, are England really in much better shape this time around?